We’d love your help. 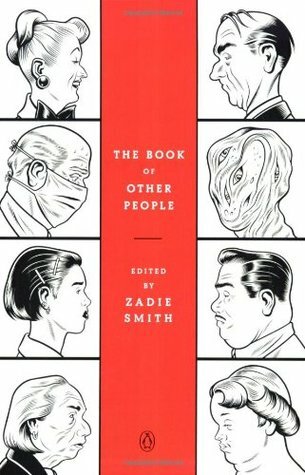 Let us know what’s wrong with this preview of The Book of Other People by Zadie Smith. The Book of Other People is about character. Twenty-five or so outstanding writers have been asked by Zadie Smith to make up a fictional character. By any measure, creating character is at the heart of the fictional enterprise, and this book concentrates on writers who share a talent for making something recognizably human out of words (and, in the case of the graphic novelists, pictures). But the purpose of the book is variety: straight "realism"-if such a thing exists-is not the point. There are as many ways to create character as there are writers, and this anthology features a rich assortment of exceptional examples. To ask other readers questions about The Book of Other People, please sign up. Тази книга я чаках с нетърпение, но нарочно я четох бавно. На ден - два по разказ с почивка между тях. Не исках в главата ми да става каша от образи, идеи, похвати, което винаги ми се случва, ако изгълтам бързо сборник с разкази. И не останах разочарована. Интересно ми беше да сравнявам подходите на авторите, да човъркам кое как е направено и защо, как една история, раказана накратко, може да бъде извадена от битовизма, ежедневното, баналното и вдигната на по-високо ниво с няколко изречения. В т Тази книга я чаках с нетърпение, но нарочно я четох бавно. На ден - два по разказ с почивка между тях. Не исках в главата ми да става каша от образи, идеи, похвати, което винаги ми се случва, ако изгълтам бързо сборник с разкази. И не останах разочарована. Интересно ми беше да сравнявам подходите на авторите, да човъркам кое как е направено и защо, как една история, раказана накратко, може да бъде извадена от битовизма, ежедневното, баналното и вдигната на по-високо ниво с няколко изречения. В този смисъл от всеки разказ научих по нещо. Някои ми станаха особено любими - "Леле", "Гидиън", "Лъжецът", разказът на Колъм Тойбин. Разказът на Джонатан Сафран Фоер, чието заглавие на помня, но за сметка на това запомних текста почти наизуст от второ четене, също много ме изненада. Беше различен от очакванията ми, простичък, смешен, тъжен, достоверен, прекрасен. Финала му го повтарях 3 - 4 дни на всеки, независимо знае или не за какво става въпрос. Ако някой си търси монолог за кандидатстване за актьорско майсторство, непременно да го прочете. Zadie Smith propuso una idea a varios escritores: invéntate un personaje. El resultado, la presente antología, ’El libro de los otros’. También hay que reseñar que los fondos obtenidos con la publicación de este libro están destinados a 826 NYC, una ONG dedicada a perfeccionar las habilidades lectoras y escritoras de niños y jóvenes entre seis y dieciocho años. Pero dejando este punto aclarado, los relatos incluidos me han parecido bastante decepcionantes. Nombres de relumbrón, la mayoría, que n Zadie Smith propuso una idea a varios escritores: invéntate un personaje. El resultado, la presente antología, ’El libro de los otros’. También hay que reseñar que los fondos obtenidos con la publicación de este libro están destinados a 826 NYC, una ONG dedicada a perfeccionar las habilidades lectoras y escritoras de niños y jóvenes entre seis y dieciocho años. Pero dejando este punto aclarado, los relatos incluidos me han parecido bastante decepcionantes. Nombres de relumbrón, la mayoría, que no llegan al nivel de sus novelas, y es que me parece que muchos de ellos se mueven mejor en la distancia larga, o sea escribiendo novelas de más de 300 páginas, que en el relato, donde todo ha de estar más condensado y mejor ideado. Judith Castle, David Mitchell (***) Judith se entera de la muerte de su amante, y actúa de una manera bastante especial. Buen relato con un estupendo final. Frank, A.L. Kennedy (***) Frank está en una sala de cine, solo, esperando a que se proyecte la película. Poco a poco se nos irá desvelando la razón del extraño comportamiento de Frank. Gran relato, todo un descubrimiento de esta autora a la cual no conocía. Gideon, ZZ Packer (***) La protagonista nos cuenta cómo es su relación con su nuevo novio judío, Gideon. Otra autora que no conocía y que me ha sorprendido gratamente. Lélé, Edwidge Danticat (***) Lélé está embarazada, y esta historia está contada por su hermana. Muy buen relato. El principio genial: ”Aquel verano hacía tanto calor en Léogâne que la mayoría de la ranas explotaron”. Soleil, Vendela Vida (***) Soleil está de visita en casa de su amiga, donde la hija de once años, Gabrielle, se sentirá atraída por la manera de ser de Soleil. Muy buen relato. Roy Spivey, Miranda July (***) La protagonista se encuentra durante un vuelo con el famoso Roy Spivey. Buen relato. Theo, Dave Eggers (***) Relato fantántisco en el que unos gigantes dormidos cobran vida. Muy buen relato, teñido por la tristeza, quizás el mejor del libro. Perkus Tooth, Jonathan Lethem (***) Pequeño extracto de lo que se convertiría en parte de la novela Chronic City. Buen relato y gran personaje. As other esteemed Goodreaders have opined, this anthology fails to deliver consistent excellence, despite the all-star cast. The best contributions are from Hari Kunzru, Daniel Clowes, ZZ Packer, Chris Ware, Nick Hornby, Miranda July & Jonathan Lethem. These stories kept my arse welded to the chair, with zero distracted fidgety impatience. The others are merely average: fragments, unfinished doodles or tossed-off oddities. Jonathan Safran Foer, hardly a prolific short story writer, seems to ha As other esteemed Goodreaders have opined, this anthology fails to deliver consistent excellence, despite the all-star cast. The others are merely average: fragments, unfinished doodles or tossed-off oddities. Jonathan Safran Foer, hardly a prolific short story writer, seems to have mailed in a high-school piece. Only two stories, by A.M. Homes & Colm Tóibín, are snoozy tripe. I like the concept, but stories themselves are a bit of a hit and miss, there are 1 or 2 interesting ones but the rest is pretty forgettable. I really liked the concept of this - great author asks a bunch of other great authors to each contribute a fictional character sketch, leaving them to interpret that instruction however they wish, with proceeds going to charity - but while parts of it were excellent, most of it was hit-or-miss. I suspect different readers will enjoy different contributions, but for me, this was disappointing. Anthologies are like a box of chocolates: you never know what you're gonna get. Some pieces will be your favourite combination of ingredients, others will start off promising but leave a bitter aftertaste, while yet others might even trigger your allergies. And now that I've milked this second-hand metaphor for all it's got, I'll mention the pieces I did like. A.M. Homes's "Cindy Stubenstock" is charming in its description of high snobiety. Miranda July's "Roy Spivey" is a cute little "what could Anthologies are like a box of chocolates: you never know what you're gonna get. Some pieces will be your favourite combination of ingredients, others will start off promising but leave a bitter aftertaste, while yet others might even trigger your allergies. And now that I've milked this second-hand metaphor for all it's got, I'll mention the pieces I did like. A.M. Homes's "Cindy Stubenstock" is charming in its description of high snobiety. Miranda July's "Roy Spivey" is a cute little "what could have been". Vendela Vida's "Soleil" uses a 11-year-old's eyes to see her mother's extroverted frenemy. David Mitchell's "Judith Castle" is cruelly funny. Colm Tóibín's "Donal Webster" is heart-breakingly realistic. This is a collection of short stories to benefit some young writers' program in NYC. I was drawn to it because of the Charles Burns cover-art and because one of my favorite comic book artists, Daniel Clowes, did a short piece for this book (disappointing) as did C. Ware (writer/artist of Jimmy Corrigan.) Three of the stories are written comic/graphic style and the others are just regular non-illustrated short stories. The title of each story is the name of a person (or animal/creature) as each i This is a collection of short stories to benefit some young writers' program in NYC. I was drawn to it because of the Charles Burns cover-art and because one of my favorite comic book artists, Daniel Clowes, did a short piece for this book (disappointing) as did C. Ware (writer/artist of Jimmy Corrigan.) Three of the stories are written comic/graphic style and the others are just regular non-illustrated short stories. The title of each story is the name of a person (or animal/creature) as each is a kind of character study. Many, but not all, of the writers are from the U.K. Overall, most of the stories sucked, especially after recently reading two superb collections of short stories by Kelly Link. Two notable exceptions were a story by A.L. Kennedy and one by Jonathan Lethem which were both extraordinary. I'm kind of glad I waded through the crap just to get to these two gems and plan on seeking out more by these authors. This mostly stellar collection of stories is made up of authors who were given one simple instruction: Make somebody up. It's a book of characters, a book of other people. I did only read half of the stories, but there's some serious good work over here by everyone I read. First off, Charles Burns does the art on the front and back covers, and it's perfect. What's more, you get a hilariously depressing (what I think of as Clowes-ian) short comic about a film critic by Daniel Clowes, and a seriou This mostly stellar collection of stories is made up of authors who were given one simple instruction: Make somebody up. It's a book of characters, a book of other people. I did only read half of the stories, but there's some serious good work over here by everyone I read. За мен в целия сборник, очаквано или не, се отличава Дейвид Мичъл (“Облакът атлас”, “Хилядите есени на Якоб де Зут”, “Слейд Хаус”) с чудесен трагикомичен разказ за жена, която най-сетне е открила мъжът на живота си и хич няма намерение да го пусне. Много добро впечатление ми направи и Джонатан Сафран Фоер (“Да ядеш животни”), който прави показно за къс разказ, в който се вмъква здравият разум на възрастта. Дейв Егърс (“Кръгът”) ме изненада с много добра фентъзи история за добри гиганти, които се надигат от хълмовете. Всъщност сега, като си правя равносметка, виждам, че най-много са ми допаднали точно трима добре познати у нас автори, а тези, които не съм чувал, до голяма степен ме оставиха равнодушен. Ако все пак се дистанцирам от чисто емоционалния ми пиетет към тези автори, си мисля, че това е и комплимент за издателите у нас, които са направили верните избори сред морето от издавани на запад. I borrowed (read: temporarily stole) this book from my best friend's bookshelf, because I've been eager to read it since it came out. Finally I get around to it and it's pretty much just as I was expecting - great, obviously, but not perfect. It is a short story book, edited by Zadie Smith, on the behalf of Dave Eggers' non-profit organisation that helps children with their reading and writing. The premise was that each writer would pen a short story piece on a character, whose name would become I borrowed (read: temporarily stole) this book from my best friend's bookshelf, because I've been eager to read it since it came out. Finally I get around to it and it's pretty much just as I was expecting - great, obviously, but not perfect. It is a short story book, edited by Zadie Smith, on the behalf of Dave Eggers' non-profit organisation that helps children with their reading and writing. The premise was that each writer would pen a short story piece on a character, whose name would become the title of the piece. incredibly intriguing to me. Oh. The proceeds from the sales will be donated to that literacy center that Eggers founded. I loved reading this book. There were many times through out this book where I stopped to re-read a sentence and soak it in because of it’s poetic nature. I loved the gathering of authors that contributed to this book, this book that focuses on character alone. Also another plus of this book is that some of the proceeds of the sale go to a children’s literacy fund in NY. Very enjoyable and filled with authors that I enjoy reading. There were a couple of stories I'd read in The New Yorker previously, but, instead of feeling like I was wasting my time reading them again, it felt like visiting old acquaintances. I enjoyed it quite a lot, more than I'd expected. Zadie Smith and Colm Toibin were particularly good, but I also enjoyed Adam Thirlwell, Miranda July, A. M. Homes and Jonathan Lethem. I did not like the stories by Hari Kunzru and David Mitchell - they felt gimmicky and cruel. I enjoyed but didn't love most of these. But, the ones I loved made reading the whole book worthwhile. Talk about an anthology of stories by snobby hipsters. The only thing truly wonderful in this book is the story by Chris Ware, but mostly they are stuffy overwrought pieces that fail to deliver. This year was to be my year of short stories so I grabbed this one. I like Zadie Smith. More than half of these should have been returned to contributor with the note “you clearly did not take this exercise seriously.” Nick Hornby's seemed like it was written 5 minutes before a deadline. But some good’uns! I’m usually immune to Colm Toibin but I enjoyed his contribution. Same with Jonathan Safran Foer. Others are reliably good: Edwidge Danticat, George Saunders, Zadie Smith herself. I don't regre This year was to be my year of short stories so I grabbed this one. I like Zadie Smith. More than half of these should have been returned to contributor with the note “you clearly did not take this exercise seriously.” Nick Hornby's seemed like it was written 5 minutes before a deadline. This short story collection was just OK. I was intrigued by the cover at my local library (I know, I know, never judge a book by its cover... but I do), and liked the idea behind the author's forward. The stories themselves were all very different ranging from typical short stories to an out there comic. They were also hit or miss for me. I did not end up really reading them all, but read enough to consider this book "finished".